TOY MAKER HASBRO has bought Dublin award-winning animation studio Boulder Media in the latest deal for the burgeoning Irish cartoon industry. The US company, which owns toy and game brands including Monopoly, My Little Pony and Nerf, announced it was acquiring the 15-year-old studio set up by director Robert Cullen. Boulder will continue under its own brand as a wholly owned subsidiary of Hasbro after the deal, the value of which hasn’t been revealed. Cullen, Boulder’s creative director, said the two companies had “ambitious plans for growth” and the Irish studio planned to “substantially expand” its team and business after the buyout. The studio said it currently employs about 150 full-time staff. Hasbro executive vice president Stephen Davis said his company was already one of the largest, independent studios in Hollywood and “the time is right for Hasbro to acquire its own animation studio” to expand its capabilities. “In Boulder, we have found one of the most progressive, innovative and creative teams in the business,” he said. 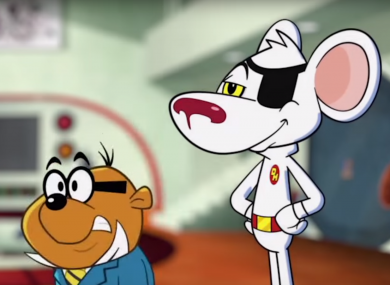 Boulder has recently produced the revamped Danger Mouse series for BBC, while it has also made shows for Nickelodeon, the Cartoon Network and Disney. The most recent accounts for the firm, covering 2014, show it delivered a slender profit of around €60,000 for the year. It employed an average of just under 100 people over the 12 months, up from 60 in 2013. The deal follows the purchase of award-winning animation house Brown Bag Films, also based in Dublin, last August by Canadian firm 9 Story Media group. It has since launched a recruitment drive after opening its new flagship studios in Smithfield. More than 1,000 people are directly employed in the animation sector across Ireland, according to industry body Animation Ireland. Email “US toy giant buys Dublin animation studio behind Danger Mouse”. Feedback on “US toy giant buys Dublin animation studio behind Danger Mouse”.